Skin moles are quite common and are generally harmless. They can appear anywhere on your body and caused by many reasons. Genetics, age, and sun exposure are the primary factors. But when is a mole not just a harmful spot and possibly skin cancer? There are a few signs, but only an experienced dermatologist can tell for sure. The basic types of moles include a congenital mole, or nevus, which is a benign melanocytic tumor. Although not typically there at birth, nevi tend to appear in children and teenagers (acquired moles). If you have more than 50 moles, your melanoma risk is higher than average. Although atypical moles tend to be hereditary, they are more at risk of turning into skin cancer than other types of moles. An ordinary mole should be no more than a millimeter or two in diameter, but when is it not normal? Many regular moles can be slightly raised and be tan, brown, or pink or flesh-colored. Even non-cancerous moles can change over time but will have smooth borders demarcating them from the skin around them. Asymmetry: Half the mole might look different from the other. Border: Ragged, blurred, or notched edges. Color: A mix of brown, black, tan, or shades of gray, red, white, or blue. Diameter: Cancerous moles are often larger than a pencil eraser (6 millimeters). Evolving: Changes in size, color, and shape are noted; the texture of an existing mole may change; and one may be growing where there was once normal skin. A mole may also have multiple shades of color throughout. If a mole becomes lumpy or scaly, or starts to feel firmer, it might be melanoma. 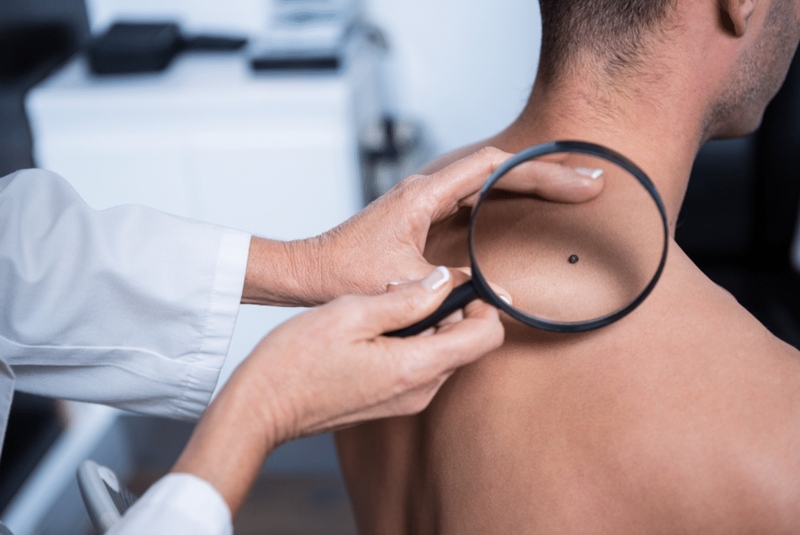 Although melanoma is not usually associated with pain, if your skin starts to itch, ooze, or bleed, see your dermatologist to get it evaluated. The best ways to protect yourself is to know your risk factors. Let your doctor know about them, and of any changes you notice in your skin. Regular self-examinations help spot dangerous moles early. Melanoma and other skin cancers can be cured if found and treated during their early stages. At Laser & Dermatology Institute, we offer top-quality skin care services in Southern California. Our board-certified dermatologist can check your skin, provide a skin cancer screening, and provide a variety of treatments. Signs of sun exposure, aging, and acne can be addressed with RF laser technology. A team of experienced dermatologists is led by American Academy of Dermatology member Dr. Jacob Rispler, who is also with the American Society of Laser Medicine and Surgery and has developed various medical techniques and treatments. Schedule an appointment today at LDI of Los Angeles, LDI of Covina, or LDI of Newport Beach by phone at 866-809-1102 or use our self-scheduler to set up your complimentary consultation.